Story times on Oahu are pretty awesome, most are FREE, some include songs and crafts, all are inside! When we lived out in Ewa Beach a few years ago, our weekly routine involved story time at Kaneohe Public Library EVERY Thursday, followed by lunch and playtime at the soft play structure in Windward Mall. Then, I discovered Kapolei Public Library and began frequenting their story times instead. Here’s a question for you. 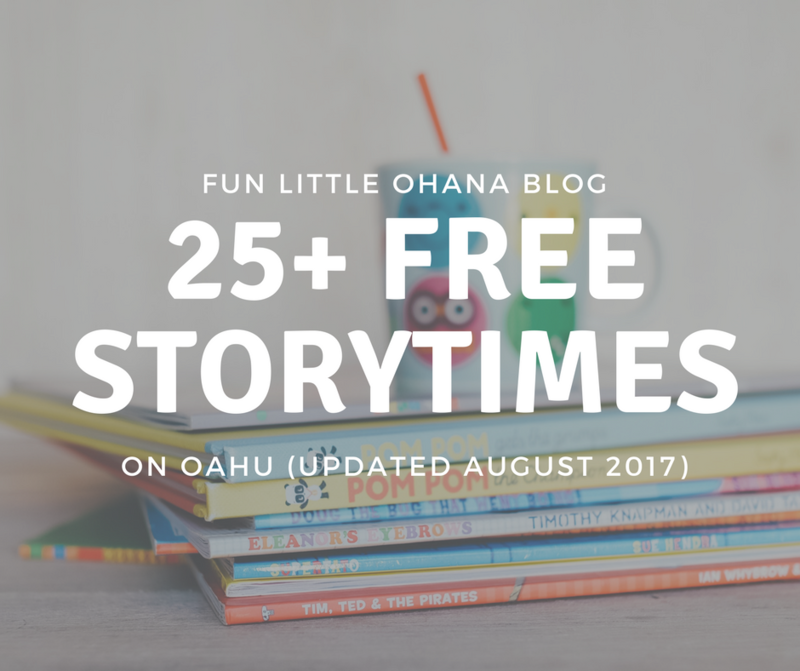 What’s the most popular day for hosting a story time on Oahu? Thursdays! There are ten different story times happening on Oahu every Thursday! Wow! Alright moms! Go forth and enjoy those story times! McCully-Moiliili Public Library is not doing the toddler storytime for the summer months. They will start back up in September. Please refer to the HSPLS website http://www.librarieshawaii.org for an update on specific dates and times. Liliha’s morning storytime for Keiki (2-5 years) is only on Wednesdays at 10:00am. No STORYTIME on MONDAY. Kahuku Library has changed their storytime from Thursday to Friday morning at 10.